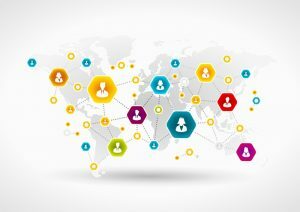 Online communities let geographically separated kids connect around shared interests, and can also offer some distinct advantages over face-to-face discussions. For example, some parents of children who struggle with in person socializing have discovered that they can be more comfortable and feel empowered by engaging with their peers online. The structure, control, and clarity of communication provided by a suitable online setting can provide young people with fruitful opportunities to pursue their passions in socially rewarding communities. 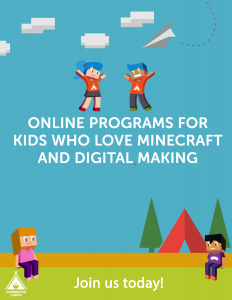 In a bid to keep her daughter productively occupied and entertained during the summer break, Gilbo did some digging and found a few online options where she could play Minecraft with like-minded peers. 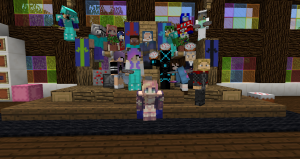 She eventually settled on a week-long Connected Camps program because it combined a Minecraft environment with guided STEM-friendly activities, which was a good fit for her daughter’s twin passions. Once the camp was underway, Gilbo was pleasantly surprised by how quickly and comfortably she made positive social connections with the other campers. “Having an online camp is perfect for her because she can be at home, her happy place, and still get to do something fun, interactive and learn about something she already loves,” said Gilbo. Her daughter was empowered by participating in a community where her knowledge and proficiency with the subjects she loves were highly valued. What originally started as a single week-long venture extended to a variety of programs over the rest of the summer. A 2009 study from University of Nottingham researchers Penny Benford and PJ Standen found that text-based online communication helped reduce to pressure and mitigate some of the factors that complicate social interactions for people on the autism spectrum. The study reports that participants “needed ways of keeping in contact with others on their own terms, with minimal pressure on their communicative difficulties. This may be achieved through shared interests and structured activities, or by the use of Internet-based communication.” The advantage of online communication, or engagement in an environment like Minecraft that combines 3D spaces with text-based chatting is that the emphasis is on written dialogue, without the potential distractions of body language, verbal nuances, and facial expressions. Kate Ringland, in her study of the Autcraft community, has found similar dynamics. Participants in the study felt that an online environment gave them greater control over the pace and content of their communications, which allowed them more time to both process and construct messages. In typical group settings, the perception that many people are speaking at once can sometimes be overstimulating and tiring for someone with autism. The permanence and procedural sequences of text-based communication reduce the noisy simultaneity and let users concentrate and more comfortably process messages. Control over personal space is also an important factor, and the option to more easily govern their level of involvement is a huge asset. The ability to “switch-off” or withdraw from a conversation is far less conspicuous in an online setting than in physical social interactions. Participants found clarity of online interactions beneficial, stating that text-based communication tended to be more straight-forward and concise, leaving less room for interpretation, which helped reduce potential anxiety. 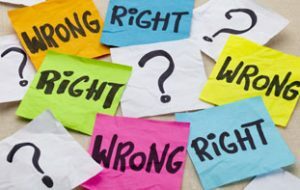 Online forums and groups tend to set-out clear rules and codes of conduct, which are typically implemented and governed by moderators. 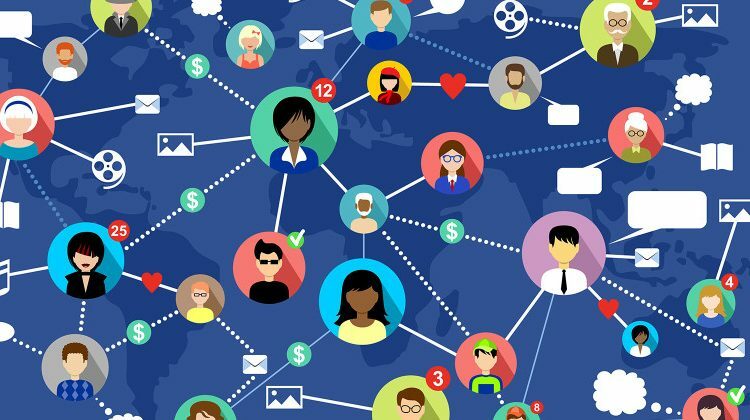 The Nottingham researchers reported that participants welcomed the structured nature of online communities because many furnish clear guidance for social protocols. “Rules and moderation were identified as ways in which the likelihood of interactions becoming excessively overcharged could be reduced. The availability of explicit rules to guide interaction and moderation to ensure adherence to group norms were seen as ways in which group participation could be eased,” wrote the researchers. These positive social experiences help bring out the best in kids, and provide an outlet where their skills and strengths can flourish, fostering greater confidence and self-esteem which, as parents know, are cornerstones of future success.